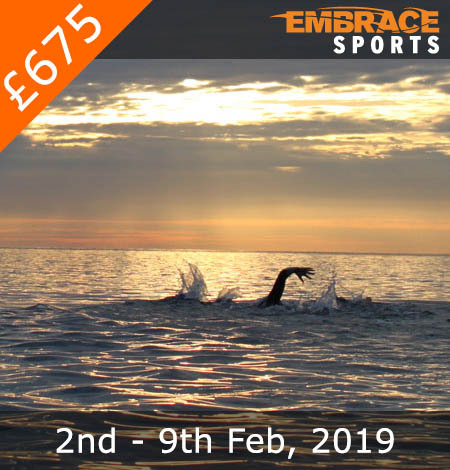 Reserve your place on the February Novice Triathlon holiday. 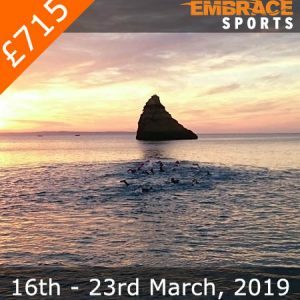 Aimed at the novice to intermediate level athletes and to run alongside the Duathlon Holiday. This is a great week to learn new or build on existing skills. This week would also kick-start your season ahead training in warmer conditions. 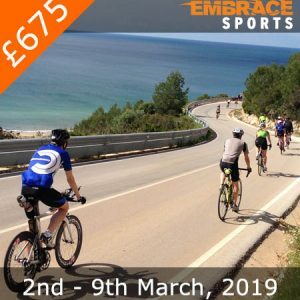 This February training holiday normally has the added benefit of coinciding with the famous Tour of the Algarve (“Volta ao Algarve”). We wil be supporting and riding the same rides as all the major teams likes Team Sky, Garmin, Astana, Radioshack etc. I had an awesome week out in Portugal with Embrace. As someone who was completely new to cycling, the Embrace team immediately put me at ease and got me comfortable riding in big groups and on long rides. I really enjoyed the cycling and will definitely now buy a bike and take up cycling in the UK. The running was also superb and there was a mix of hill running, trails and flat road running. A number of brick runs were also incorporated which allowed me to get used to running after long rides. The swimming was also fantastic with a mix of ocean swimming and pool swimming. Swimming around the sharkfin rock was definitely one of the highlights of the holiday! To top it all off, the food prepared was amazing with fresh home cooked meals every evening (apart from two restaurant nights out which were a lot of fun!). This holiday comes highly recommended and has spurred me on to get more involved in triathlons.